FDA Cracks Down On Fake Ebola Cures Sold Online : Shots - Health News The Food and Drug Administration has issued warning letters to companies marketing products claimed to be cures for Ebola. One firm says it will drop such claims — but it's still selling the product. The problem isn't just that fake cures are worthless, doctors say. Fraudulent claims also give some people the false sense that the product can protect them from getting sick. Snake venom, vitamin C, Nano Silver and herbs have all been pitched online as a treatment or cure for Ebola. None has the backing of the FDA. "Unfortunately during public health threats such as Ebola, fraudulent products that claim to prevent, treat, cure disease often appear on the market almost overnight," says Gary Coody, the FDA's national health fraud coordinator. In particular, the FDA wants consumers to beware Ebola "cures" peddled online. It's like storm-chasing roofers, who go and try to defraud people after a big storm. Some of them may be making an honest mistake; other companies are trying to rip people off. The problem isn't just that such products are worthless. "Consumers who are misled by false claims may delay seeking the medical care they need, such as proper diagnosis and supportive care," Coody says. Or they may have a false sense that the product will protect them from the virus. The FDA has sent warning letters to three companies it says are making fraudulent claims about Ebola cures. The letters threaten property seizure and even criminal prosecution if the firms don't respond appropriately. The strategy amounts to "public shaming," says Nathan Cortez, who teaches law at Southern Methodist University in Dallas. "It's one mechanism that the FDA uses to lean on companies in a very public way. It's also meant as a warning to other firms, he says, "to say we know companies are trying to defraud the public with fake Ebola tests and treatments and we're on the case." Two of the firms that got the FDA warning letters didn't respond to my emailed messages. But Ralph Fucetola of the New Jersey-based company Natural Solutions Foundation says he heard the FDA's message loud and clear. Natural Solutions received the warning for its claims that a product known as Nano Silver can effectively kill Ebola. "We understand that there is no approved treatment for Ebola," Fucetola says. "Since we are in the middle of negotiating with the government with regard to how we can best describe what we believe is a very important health breakthrough, we are not using the legal term of art 'treatment of disease.' "
Even if the company doesn't explicitly say that Nano Silver "treats" Ebola, it has claimed on its website, Twitter and Facebook that Ebola has a cure — a statement not borne out by the evidence so far, according to the FDA, CDC and other health officials. While there are experimental drugs and vaccines being tested in the current Ebola outbreak, nothing yet has been proved to work. 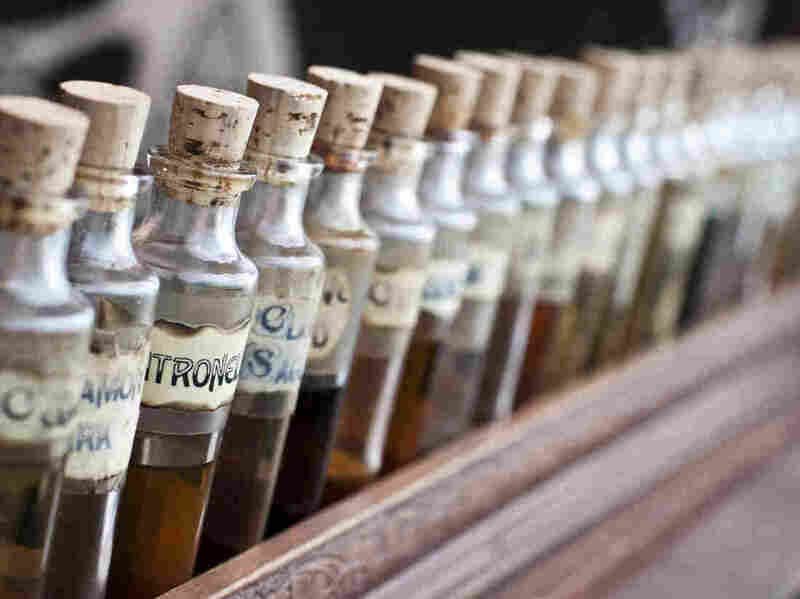 Online, other companies tout clove oil, oregano and homeopathic treatments to prevent the virus. There's even a tutorial that was up on YouTube for a do-it-yourself vaccine. Some businesses, Cortez says, take advantage of fear. "It's like storm-chasing roofers, who go and try to defraud people after a big storm," he says. "Some of them may be making an honest mistake; other companies are trying to rip people off." Mistake or not, the FDA says Ebola cures advertised on the Internet are misleading and dangerous. The agency encourages consumers who have seen such claims to report them.